One of the most pleasant regions to be on the largest Island in Greece and fifth largest in the Mediterranean Sea –Crete Island is Chania. Because Crete itself was a product of influences, particularly Chania, from Turkish and Venetians, there are lots of spoil left during and after these influences which makes it a great tourist centre. People from far and near move in to Chania to observe the gigantic buildings that are product of Venetian habour. The nature of Chania- the gorges, beaches, mountains that sprouted from in the midst of sea, etc. –is the greatest fascinating things in Chania region. The movement around these places can barely be easy without renting a car because of the mountainous nature of the terrain. Amazingly, we have cars for every movements around Chania region. WHAT TO EXPECT AT CHANIA? There are great amusement in places of Chania. Many people don’t want to only visit places but also see things that will drop their jaws. More from Crete, Chania Prefecture activities, Plateau of Omalos Crete of Falasarna, Crete of Frangocastelo, Crete of Lissos. One thing you would experience is that these places are Archaeological Places. These archeological sites contain remains and blueprints of the Turkish and Venetians. At Chania, there are beaches with nice breadth from the ocean that imbibe in every tourist that unrecoverable moments. The terrain is sandy which moist the feet and make it feel cool. Beaches found at Chania are Balos-Gramvousa, Falasarna, Frangocastelo, Agia Roumeli, Elafonissi, Sougia, beaches of Paleochoras, Beaches of Chora Sfakion and Seaside town of Georguipolis. Everyone understands the relaxation that accompanies swimming, you do too. These beaches have enough clean water. There are cafes around the beaches too for resort. We offer an insured car that will move you from the airport to the beaches. These are buildings exclusively with historical and artistic and scientific values for acquisition, studies, exhibition and educational interpretation of object. In one of the regions in Crete, there is place with great museums for all and sundry, especially archeologists and researchers. Chania archeological museum and Chania Historical - maritime museum are the notable buildings with historical artefacts. To move around these places, you will need to rent a car. This is our strength, we offer you healthy cars for fast and easy movement. These are deep narrowing passages with concave moulding. They are curves with rocky terrain by the sides. They are formed in such a way that when cars move, it looks as if the car was hovering round a circle. It titillates the body mechanism. In the entirety of Crete, the greatest gorge is the Samaria gorge which is found in Chania. Other Gorges in Chania are: Imbros Gorge and Plateau of Omalos. We offer car rent that will take you through the gorges without experiencing an aorta of damage. We understand the rocky nature of gorges, so we immune the cars against damage. Our cars are insured, should there be cases whereby damage are incurred upon your usage. Amazingly, there are towns in Chania with archeological events that people sort after too. These towns include: Chania Town, Plateau of Omalos and Askifou Plateau. Many people find it difficult to travel round their desired town because of the nature of Crete. No need to worry, we offer car rent around Crete, and Chania, of course. These cars will take you from anywhere to anywhere in Crete. 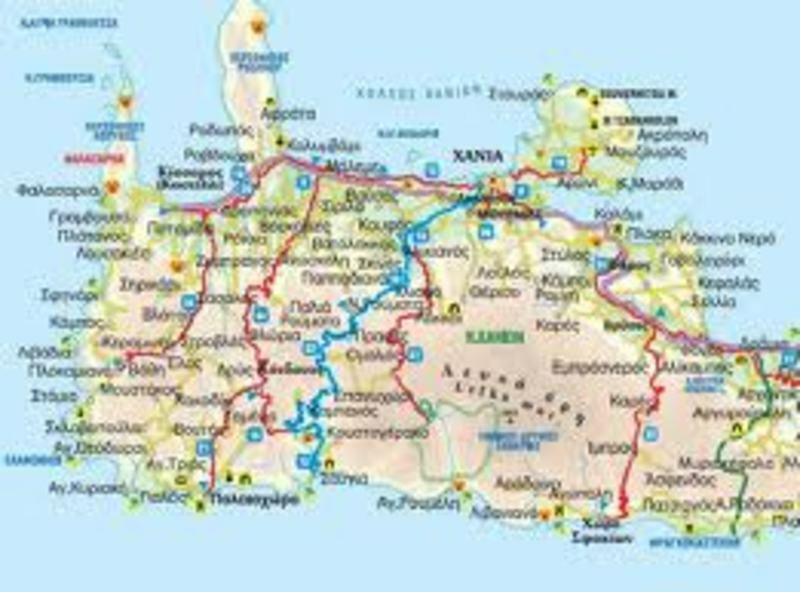 Our cars move in the western part of Crete Island and other regions. The pickup station of our cars can be found at the West of the Island Chania airport. From there, we move you round the whole places. You don’t know where you are going but you know the name of the place(s)? Don’t worry this is our duty. Get our cars today and enjoy a long lasting refreshment even as you journey!